5-Year/60,000-mile Limited - Covers the repair or replacement of any OEM Hyundai part or component that is deemed defective. These components include radios, paint, batteries, and more. Ask a member of our Olathe Hyundai dealership for more details. 7-Year Anti-Perforation - Your new Hyundai is virtually guaranteed not to rust through, but if the body panel somehow does, you're protected for up to 7 years. Unlimited Hybrid Batter - Any new Hyundai hybrid car is guaranteed to last, which is why they come with a lifetime warranty on Lithium-ion batteries as well as extended protection for other hybrid components, such as PCUs and starters. 10-Year/100,000-Mile Powertrain Limited - This warranty covers the replacement or repair of faulty powertrain components and parts, including the engine, transmission, and drivetrain. 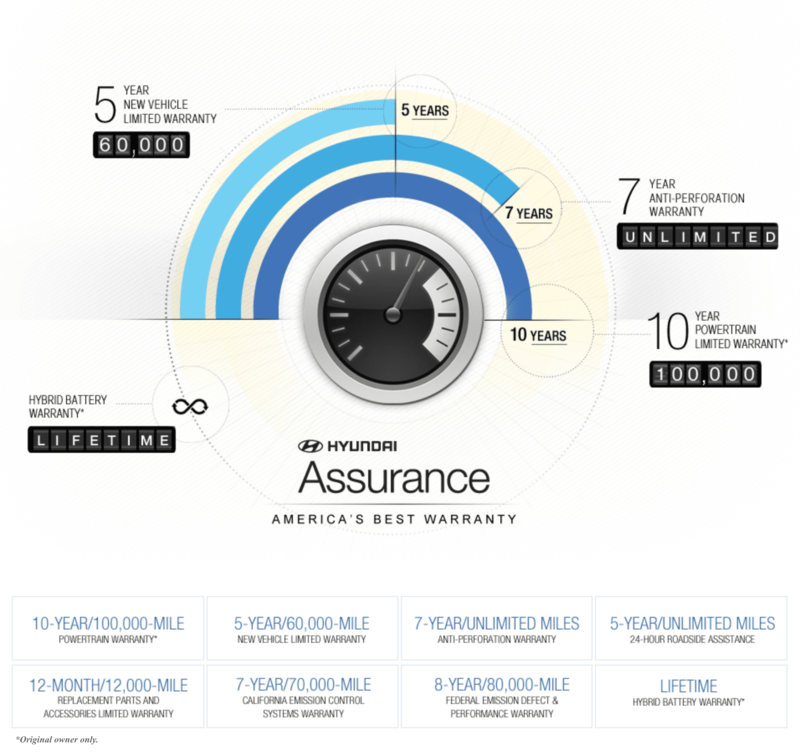 12-Month/12,000-Mile Replacement Parts - When any repair or replacement is made under warranty, all authentic Hyundai parts and accessories are covered for up to one year or 12,000 miles. In addition to the Hyundai warranty, all new Hyundai models also come with complimentary roadside assistance for five years. You can get a tow to your local Hyundai repair center, such as McCarthy Olathe Hyundai, for vehicle service, flat tire changes, and auto body collision repairs. These Connected Care services are complimentary for one year. When the term expires, you can contact your local Hyundai dealer for extension information. 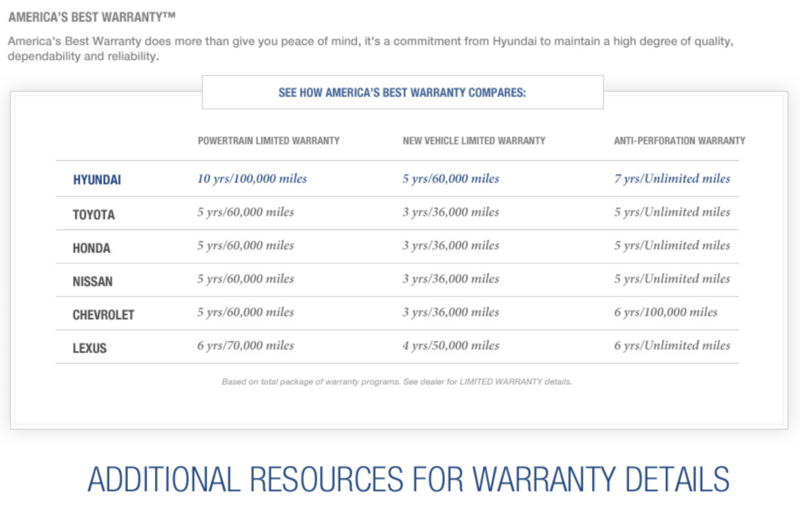 When you choose a new Hyundai car or SUV, you're always covered under America's Best Warranty. Best yet, when shopping at our Olathe Hyundai dealership, you're also covered by our own personal guarantee of quality. We have been ranked one of the best car dealers near Kansas City because of our commitment to our customers, and we'd like to show you why so many drivers come to us when they need a new or used car.